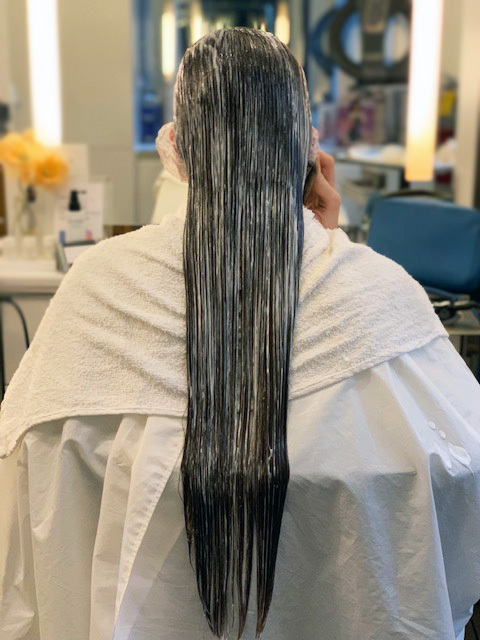 Last week we’ve been to an amazing place called Piere Michele Salon and met with Yoshie – a Milbon educator and hair professional who provided our top expert with Milbon Head Spa and Liscio Hair Treatment. 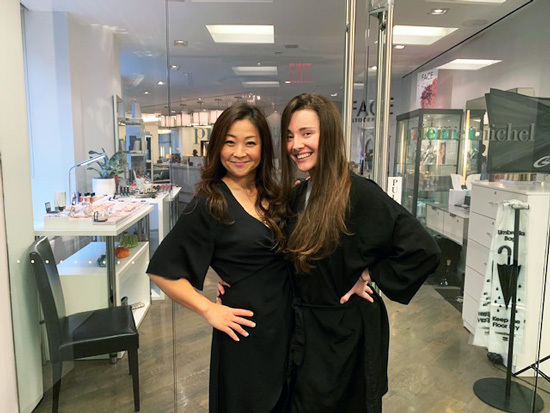 We’re excited to tell you more about our visit, the salon, treatments, and interview with Milbon expert Yoshie! – Yoshie, how did your adventure as hairdresser begin? I started to work at Hair salon as a part-time when I was a High school student. My hair stylist at the time recommended to me to work there instead of working at the burger shop. He said I may love the salon work. And he was right. I never got bored! – How did you become an educator for Milbon? Almost 10 years ago, I was working as a top stylist at Japanese Hair Salon (Momotaro international hair salon) in Midtown at that time. The Salon was known as a Japanese Straightening expert. 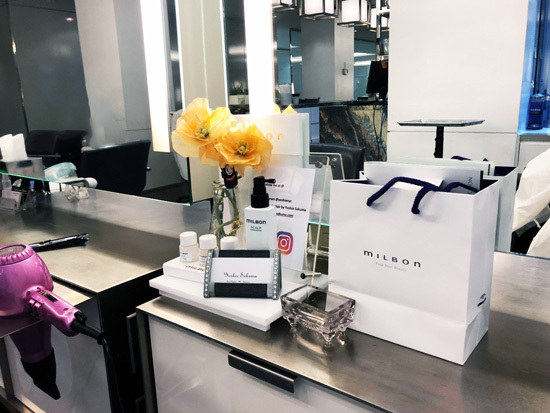 Because I was one of the stylists who has the most Japanese Straightening Clientele in NYC, Milbon USA contacted me to become an educator for them. 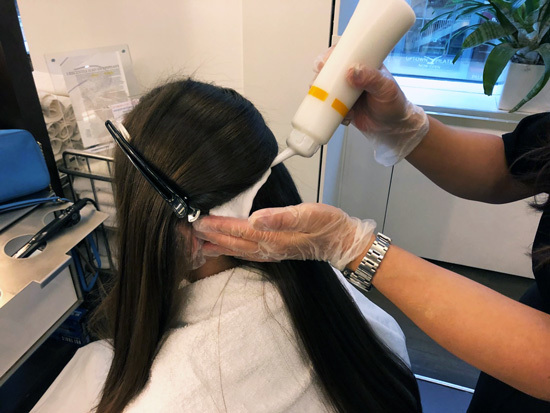 I have Liscio (Japanese Straightening, Smoothing ) Classes in New York, Los Angels and all other major cities in the U.S.
– Our expert received a Head Spa procedure as well as Liscio Smoothing , please tell us more about both treatments? Head Spa is “facial for scalp”. I use Milbon Scalp collection products for this service. 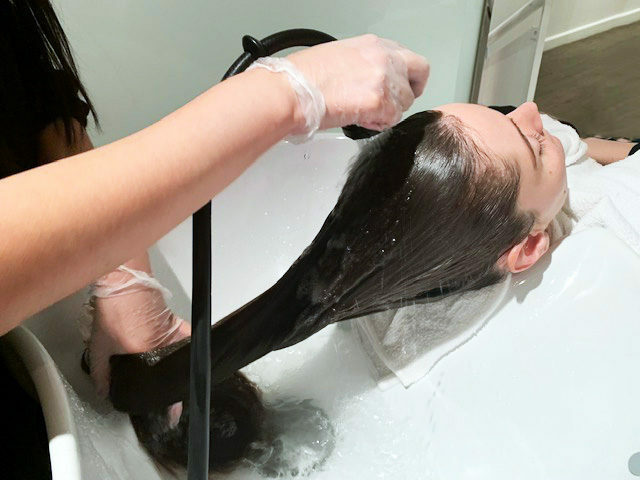 Shampoo with Purifying Gel Shampoo to start, then massage the scalp with Cleansing Spa Gel (there are 3 scents, Rose, Citrus, Vanilla) to remove unwanted fatty acid on the scalp. Massaging the large muscles on the scalp increases blood circulations. This professional massage gel deeply exfoliates residual fatty acids clogging the follicles, offering an instant relief from these scalp issues. I gave your expert “Liscio Smoothing”. This is not a regular Japanese Straightening process. This technique is to make hair about 80% straighter than before, shinier, and softer. Very similar result as Keratin Straightening but absolutely NO Formaldehyde. And this is not coating system technique so it will last about 6 months. Your expert loved the ear covers! 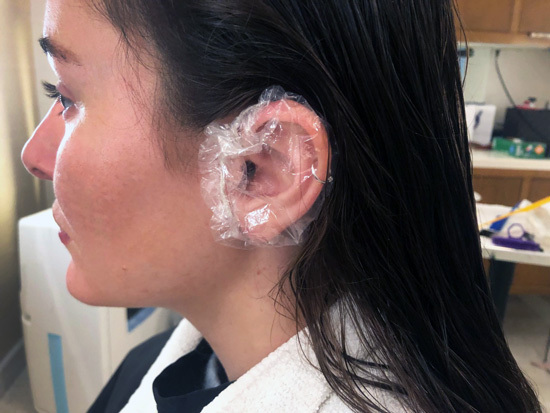 I always put the plastic ear covers to protect clients ears form chemicals! – You provided our expert with two Milbon products to maintain effect after the treatments – can you tell us about the products and how they work? I gave her Milbon Repair Shampoo and Treatment for repair and reconstruct. Formulated especially for severely damaged hair, this restorative shampoo gently cleanses while protecting fragile strands from friction. Strengthened and rebuilt with our innovative Dual-Repair technology, hair regains elasticity and resilience. 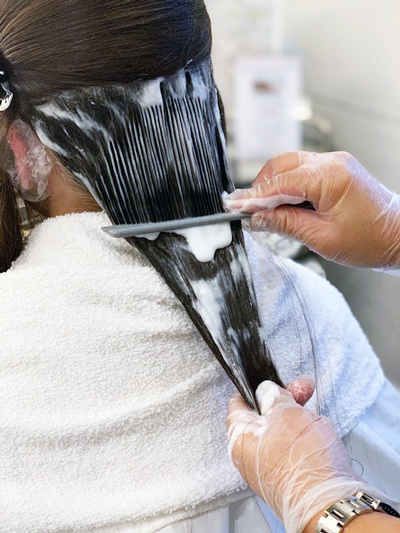 The restorative conditioner is powered by our innovative Dual-Repair Technology to deeply nourish ─ leaving tresses with renewed elasticity and resilience. Reinforced with cationized keratin, it safeguards from further damage. – How long does result last’? For Japanese Straightening (100% Straight), the part we straightened will be straight until cut it off! But usually, need to be touched up every 6 months because of the new growth will be their natural wavy hair. – How often would you advise to do a haircut for a client who is trying to grow longer hair? 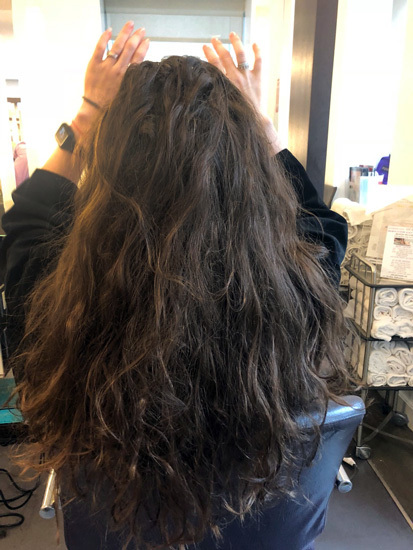 I would focus more on in-salon Deep conditioning treatment than keep trimming the ends. (it will never grow longer if you keep trimming !) Get haircut done every 9 weeks, have in-salon deep conditioning treatment every 3 weeks is recommended! 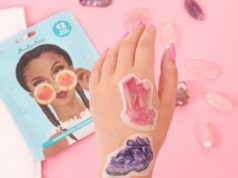 – Should clients use scalp exfoliator every time when they wash their hair? If the clients are having scalp issues, then yes. – What are your personal beauty tips for gorgeous hair? Depends on your scalp conditions but wash hair 3 to 5 times a week is recommended. Take good a couple minutes to shampoo, rinse really well, then apply conditioner, massage into hair then rinse well. 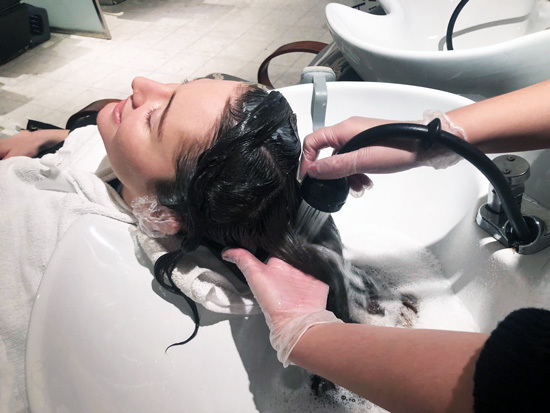 I noticed a lot of clients are not spending enough time washing and rinsing hair. Leftover hair products cause dry, oily, itchy and flaky scalp. There is no healthy hair without a healthy scalp! – What’s your favorite hair service to perform and why? 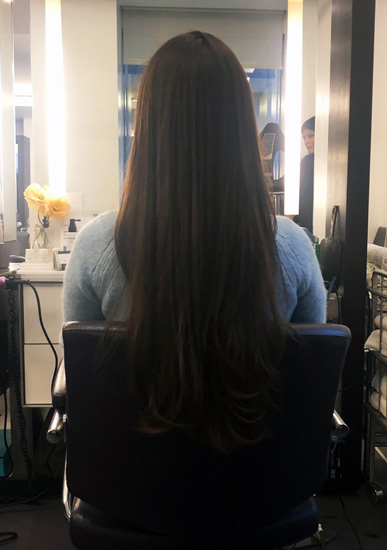 To be honest, I cannot choose… I do a haircut, color, hair extensions, head spa, smoothing treatment and Japanese Straightening. I love that I am able to do everything so I can give the client the best for them! – What’s your favorite hair products you can’t live without? There are so many! But this is my must styling product. I apply Dry Texturizing Spray after curling hair to keep it fuller and bouncy the whole day!